What makes a bed feel special? We chatted with our Accessories Merchandise Manager, Jenon Bailie, about our approach to designing bedding. While we believe in natural, basic materials, there’s nothing basic about our creative process. Jenon came into the industry with a background in clothing and textiles, and through her work with Room & Board bedding, it’s given her a resurgence of her love for knits, wovens and other fabrics to create the best bedding for you. 1. 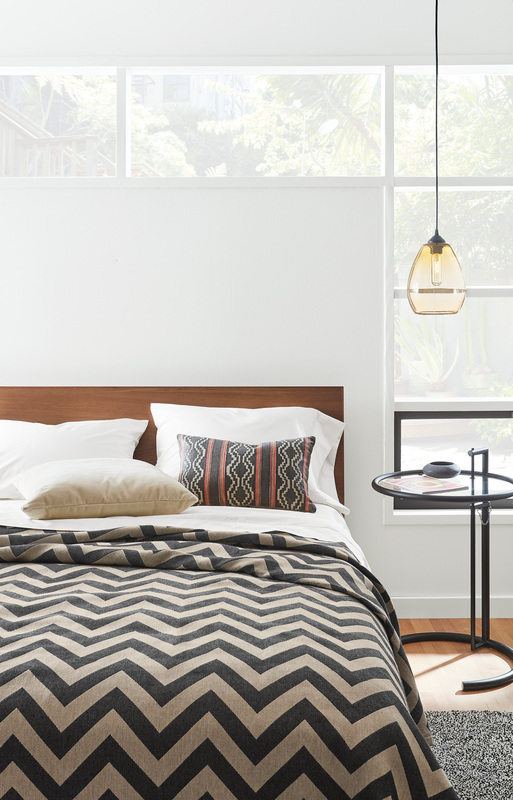 Walk us through your styling tips for making a beautiful bed. Where do we start? Our Percale Sheets & Pillowcases give the Grove bed a crisp, cool feeling of freshly laundered linens. Here, the Ascent blanket makes a lovely, patterned statement alongside our new Allende accent pillow. 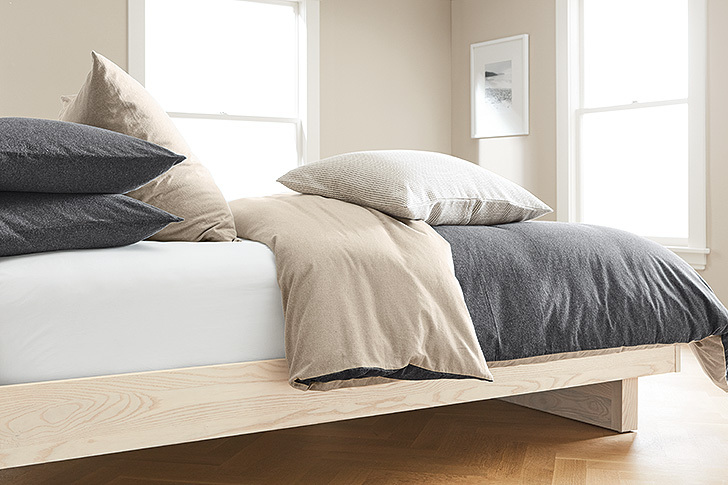 Our Copenhagen bed provides a modern base for our timeless top of bed pieces. Click here to shop all the products in this photo. 2. What type of bedding do you recommend in warmer months versus cooler months? Our Haven Stripe Throw is made from farm to loom in America from 100% wool. It’s available in four different colors so you can choose the look you love and use it all year long. 3. What are some of your favorite pillow arrangements? The combination of pillows and bedding make this a beautiful bed. Click here to shop and get the look. Our new Brockway bedding collection features both Euro and standard size pillow shams made from the plushest flannel. 4. 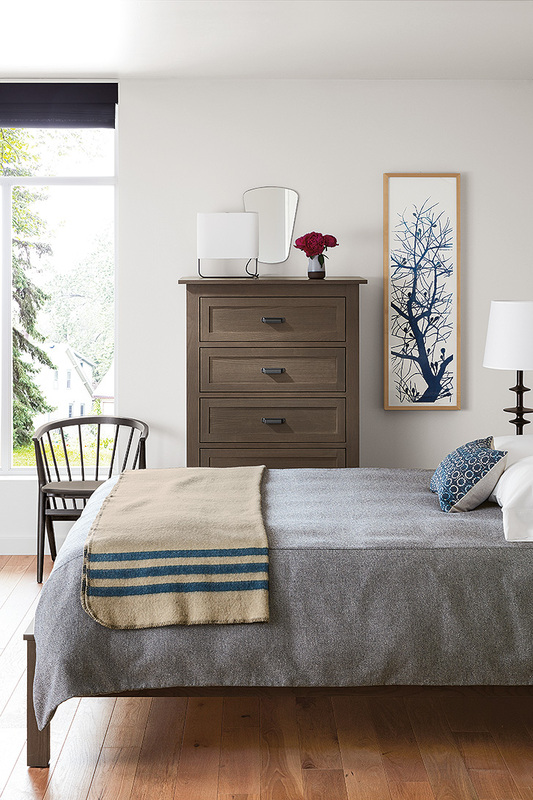 What might surprise someone about Room & Board’s bedding offer? 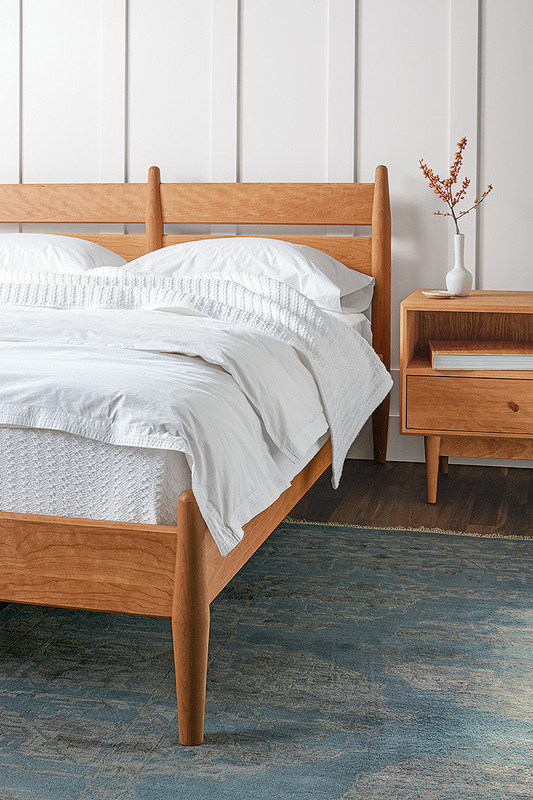 Keep the inspiration going and see how other Room & Board customers are using our modern bedding in their own homes in our Customer Photo Gallery. 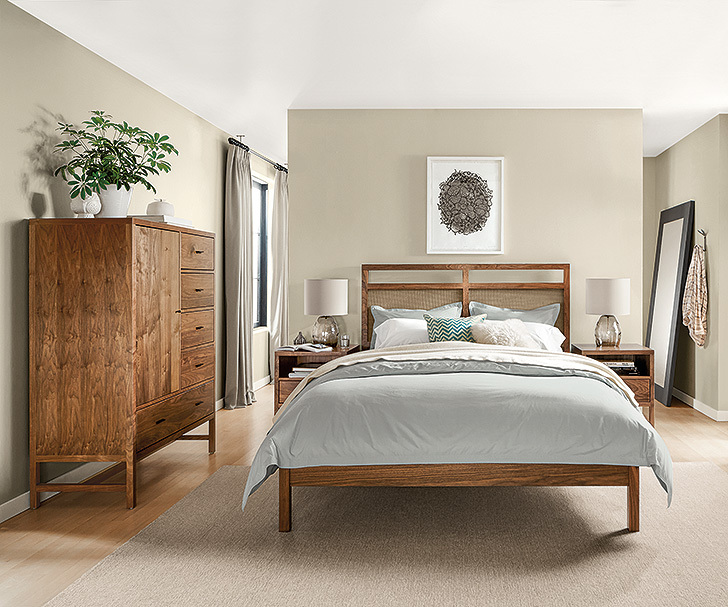 Or take advantage of our free design services – expert design advice, floor planning and more is available to you at any Room & Board store or online at roomandboard.com.